*EXPIRED* $1.00 Hot Dogs At Sonic All Day Wednesday! 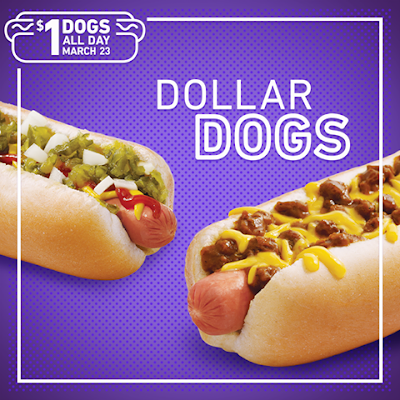 Hop on over to a Sonic Drive-In and get $1 Hot Dogs ALL Day Wednesday, 3/23/16! Includes 6-inch Chili Cheese Coney and All-American Hot Dogs only. Must mention when ordering. *No coupon necessary. Tax not included. Add-ons cost extra. Cannot be combined with other offers. Offer valid 3/16/16 at participating SONIC Drive-Ins while supplies last. 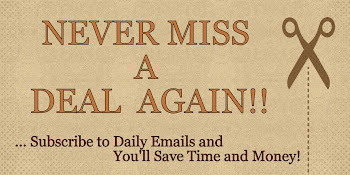 Must mention offer when ordering. See store for complete details.